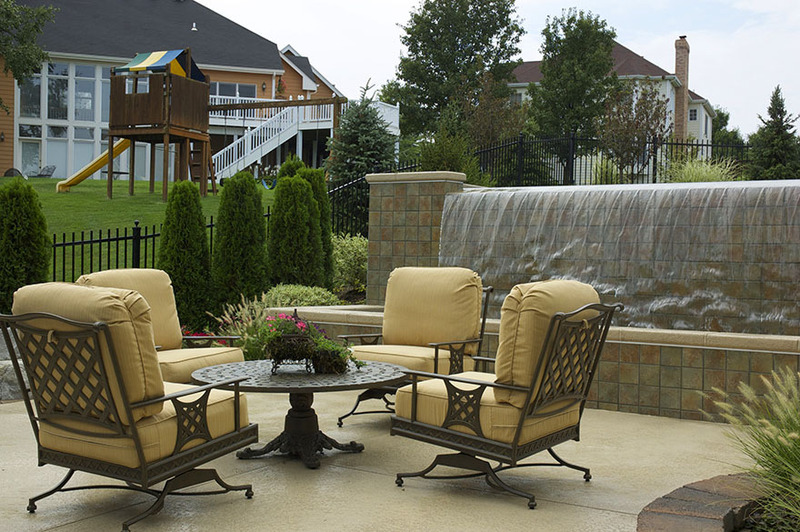 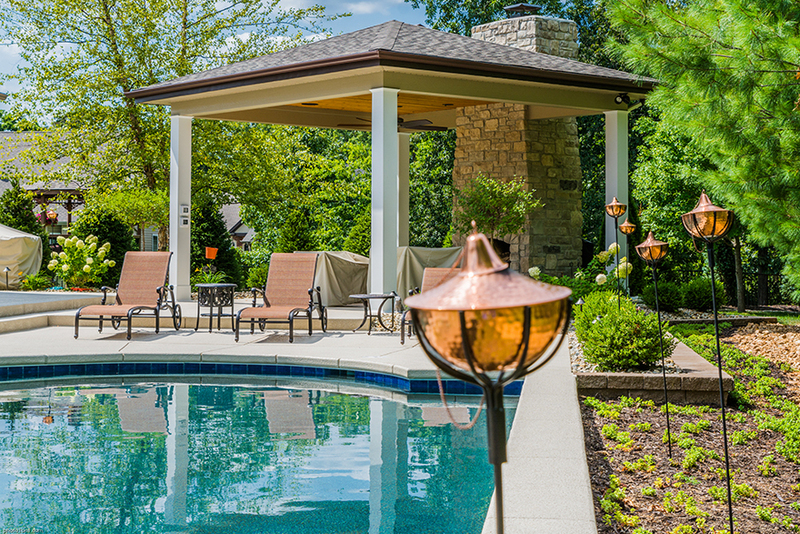 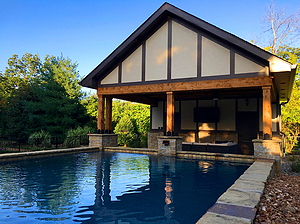 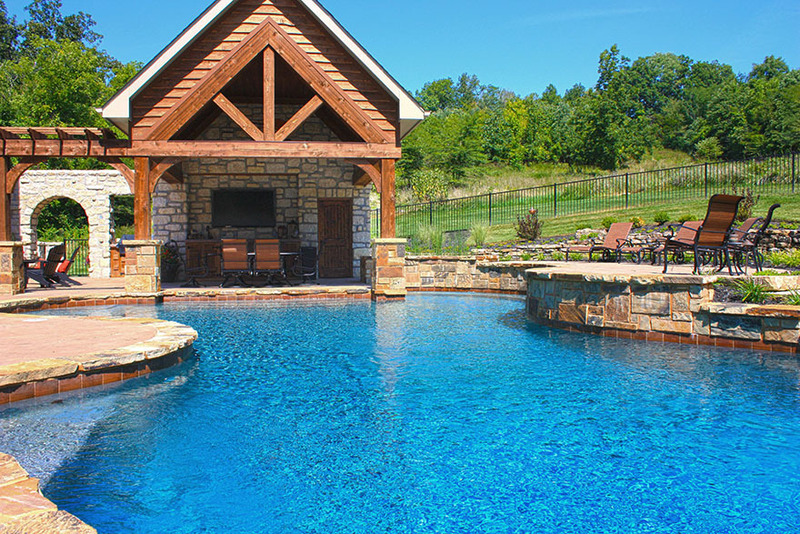 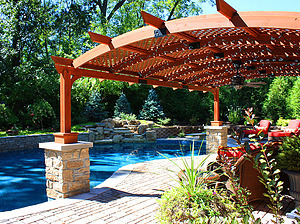 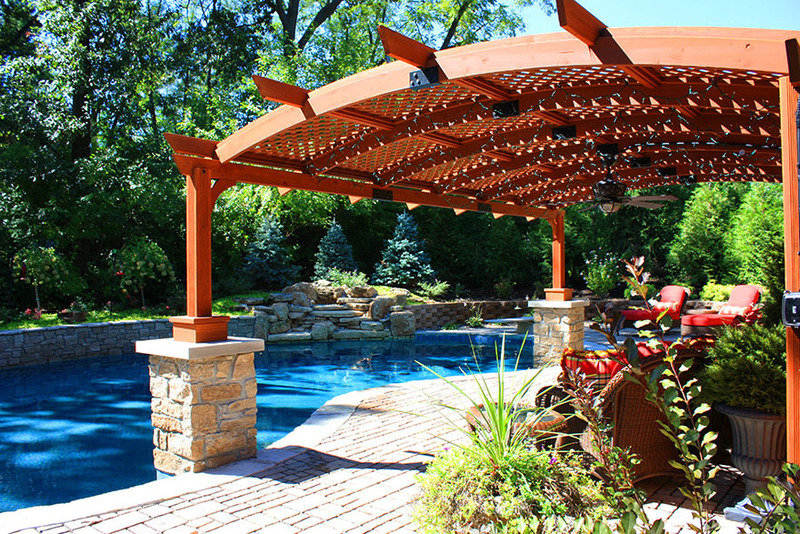 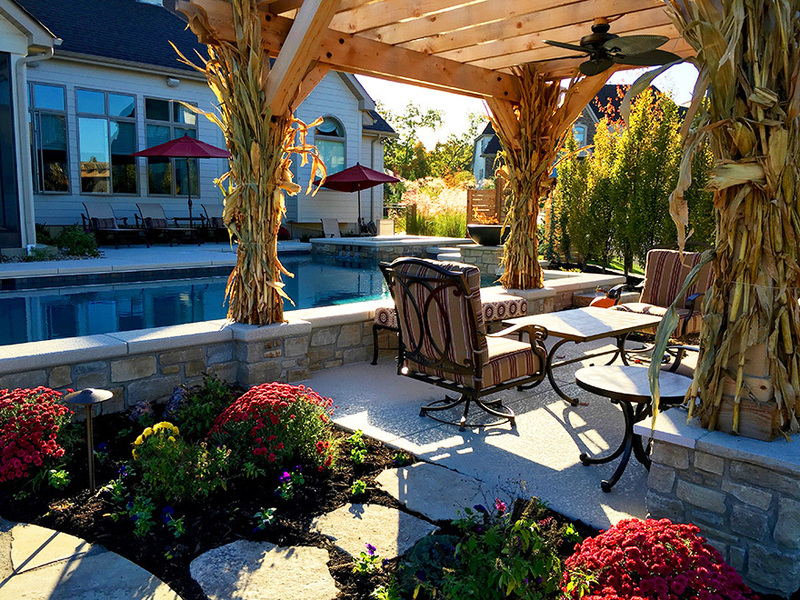 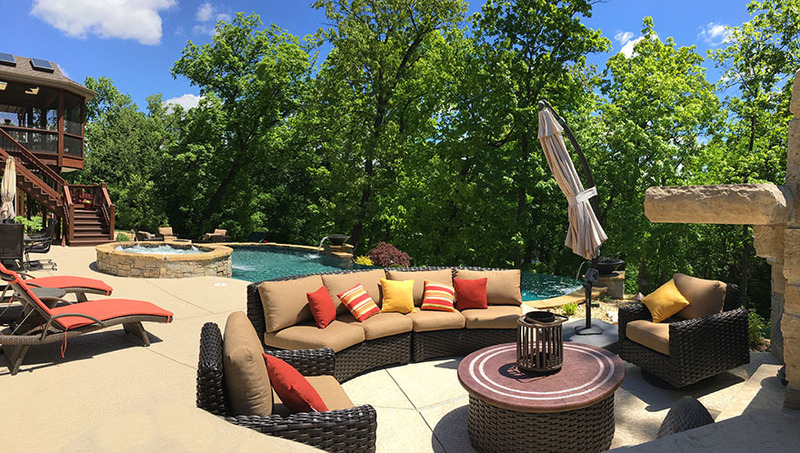 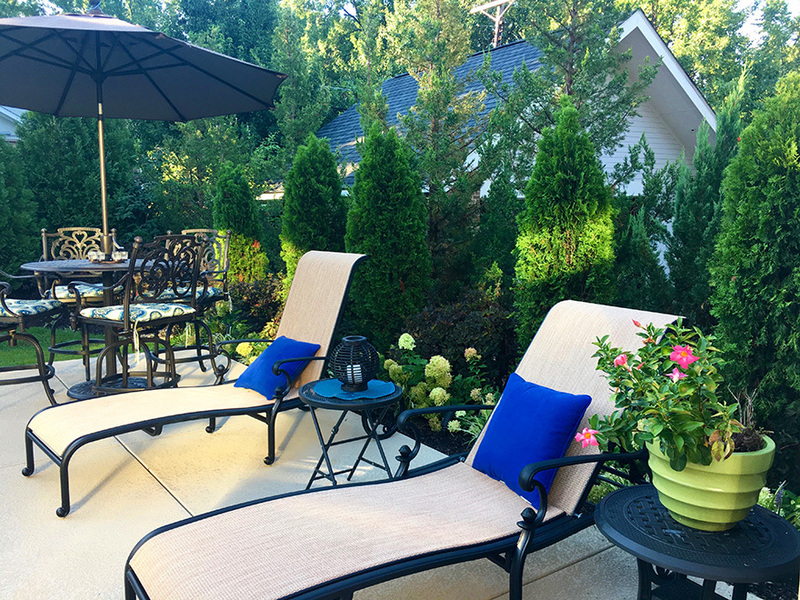 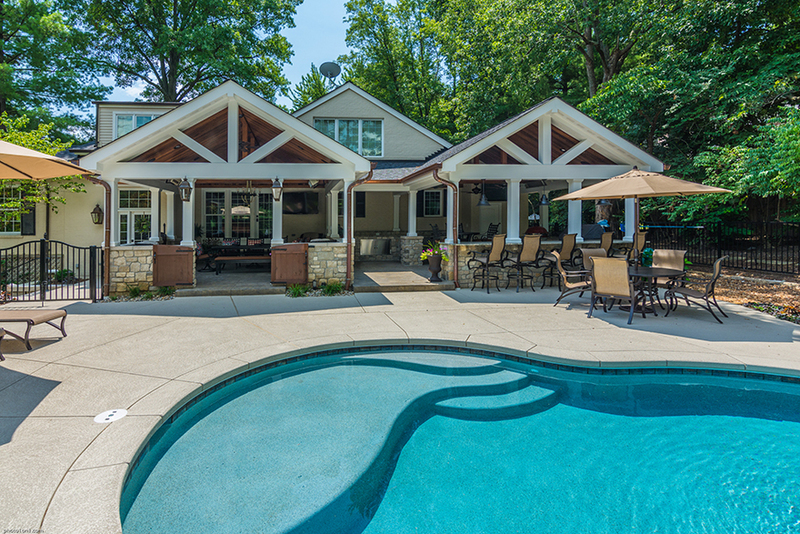 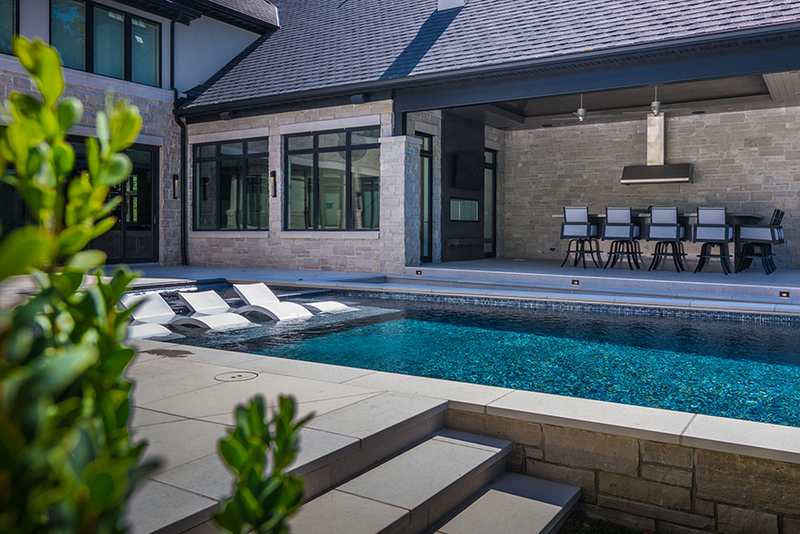 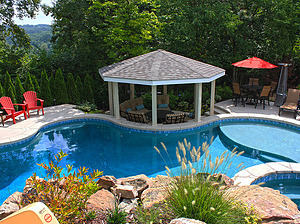 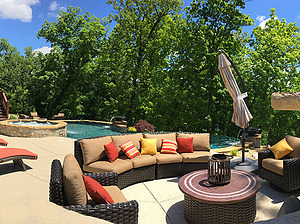 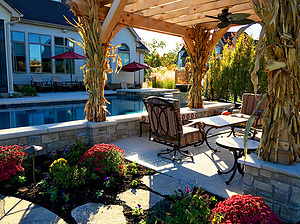 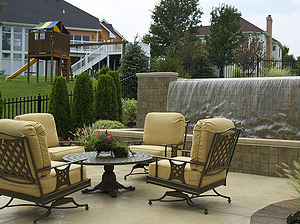 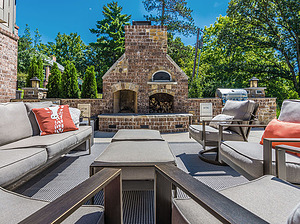 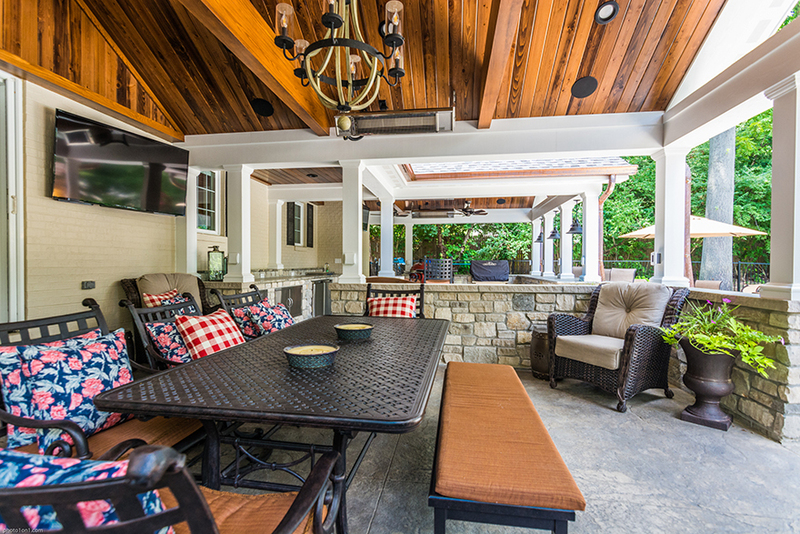 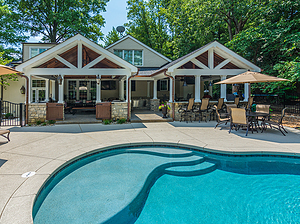 Pool patios are designed with an emphasis on function. 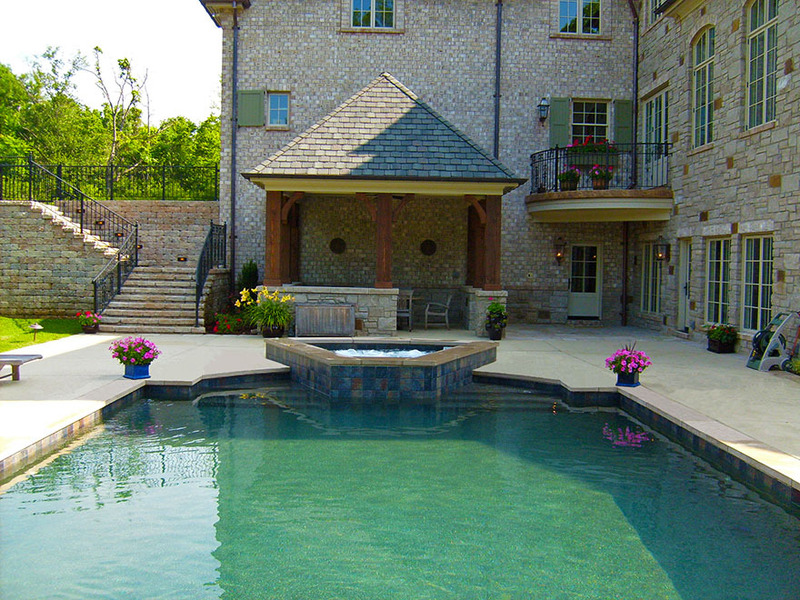 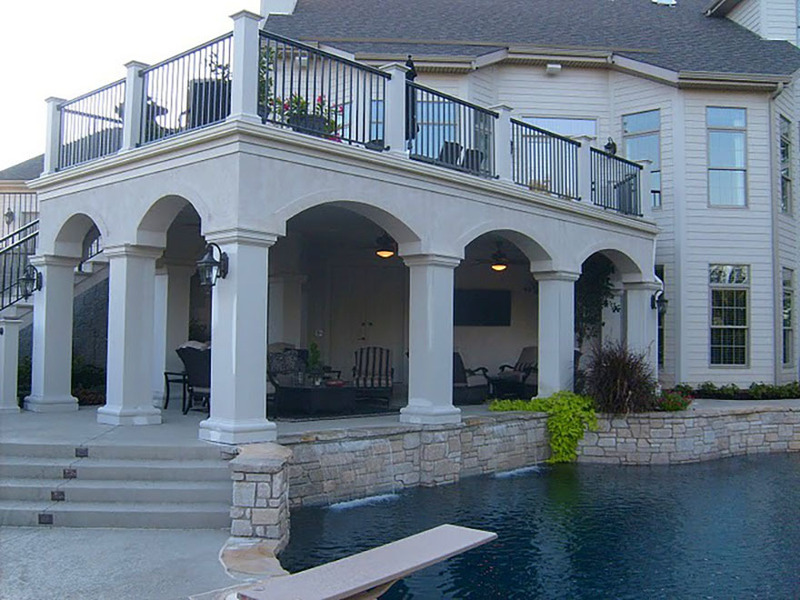 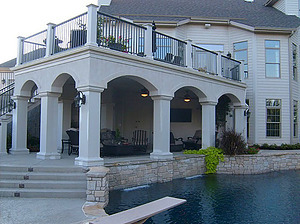 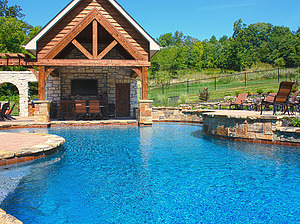 We design the pool deck to satisfy specific activities, similar to the floor plan of your house. 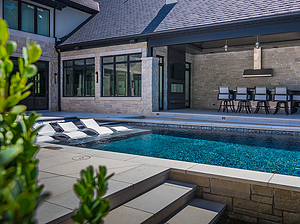 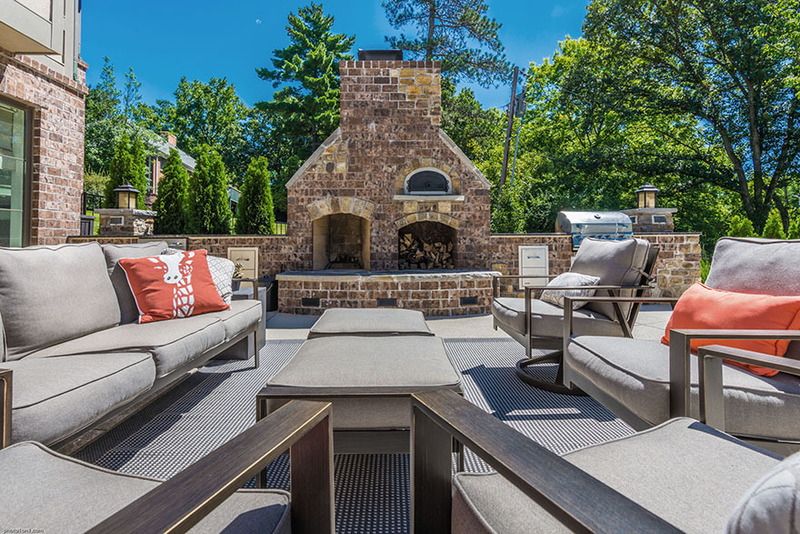 All concrete pool decks are poured utilizing a combination of steel reinforcing and a material called "Fiber mesh" which creates a skeleton matrix to help prevent cracking. 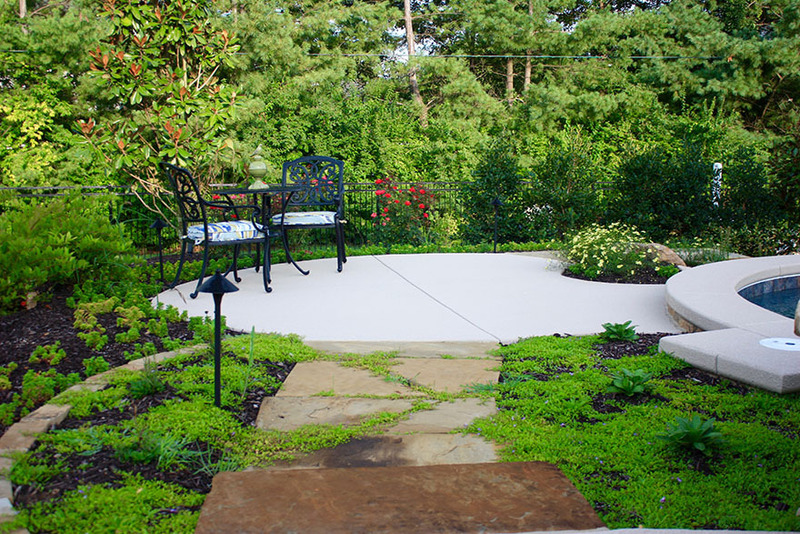 Several treatments are available from standard broom finish to acrylic textures. 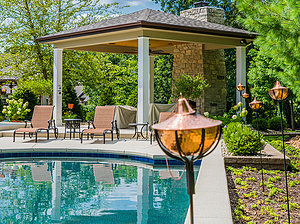 Our experts will help you choose the treatment that best fits your needs. 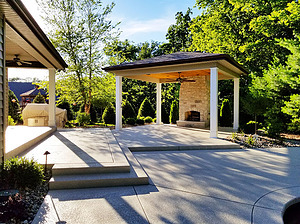 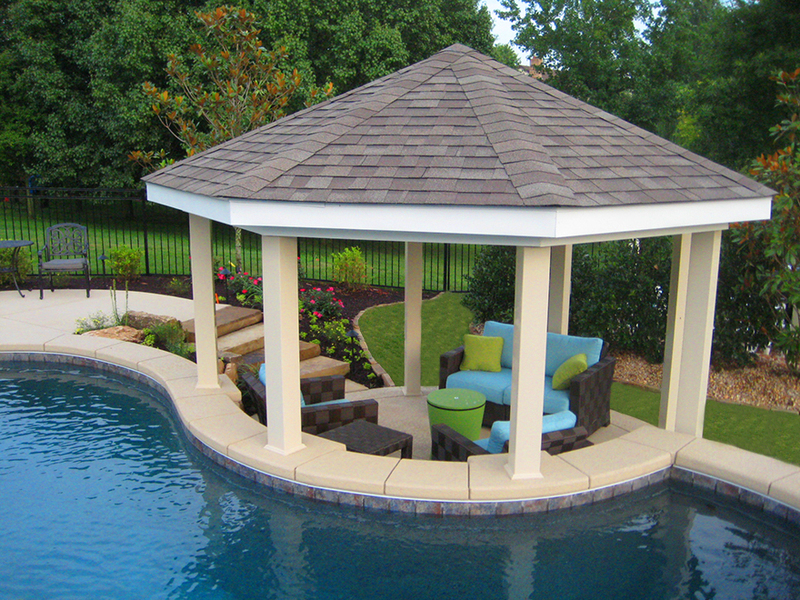 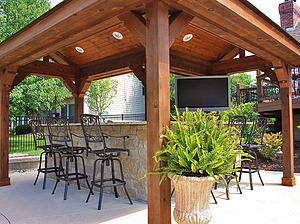 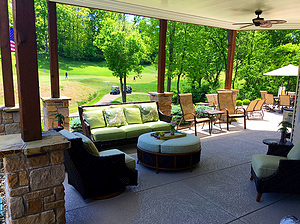 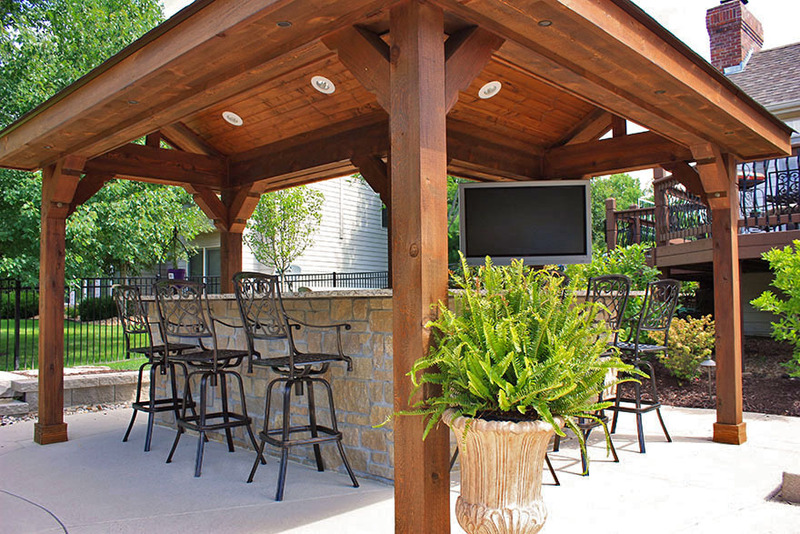 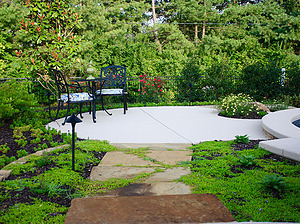 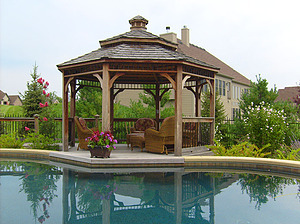 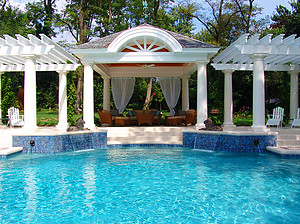 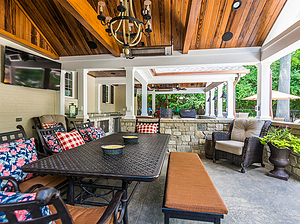 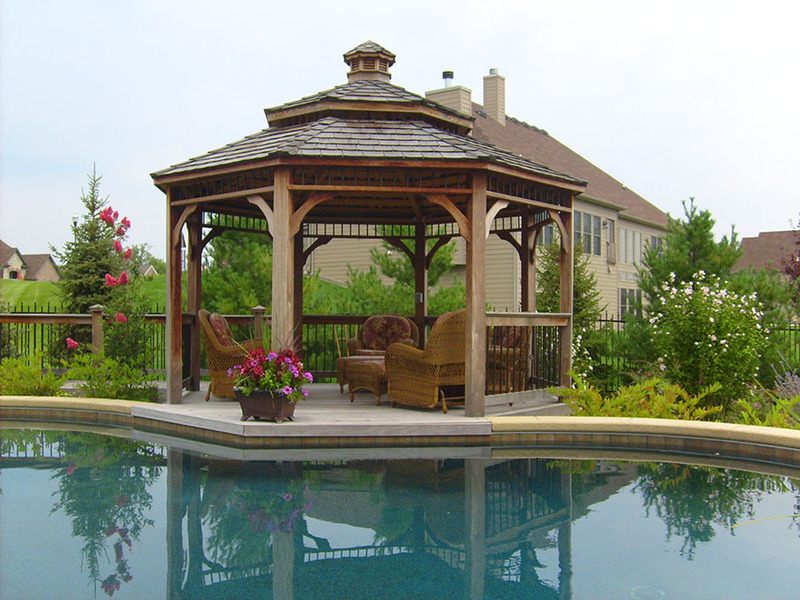 We also offer a wide variety of natural and weather-proof material choices for custom gazebos and decks.